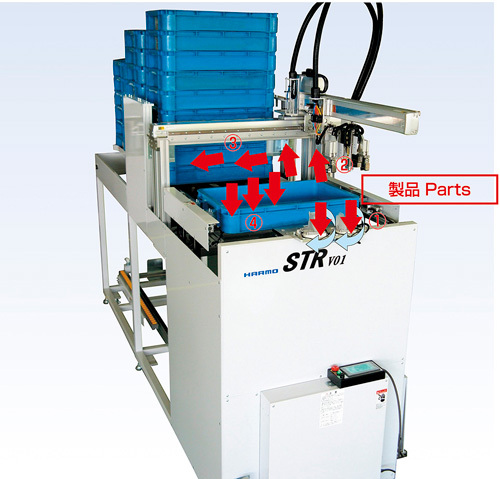 The system can accomodate custom-made trays for precisely molded products such as connectors. 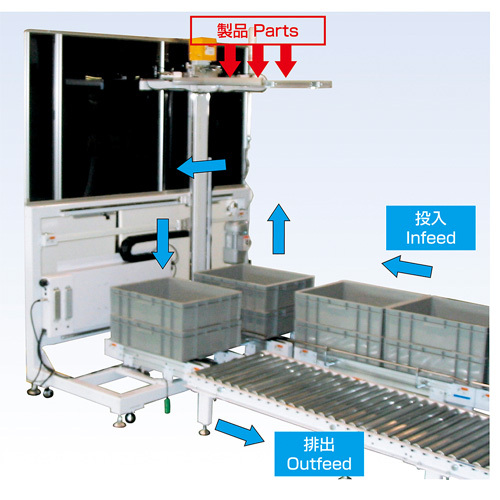 The system can align, assemble and palletize the products if the robot cannot place the products directly onto the tray because of their shapes or quantity. 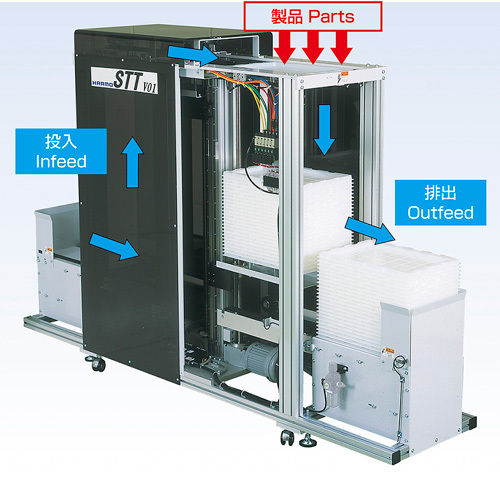 The equipped lifter receives an empty box and outfeeds the filled box. 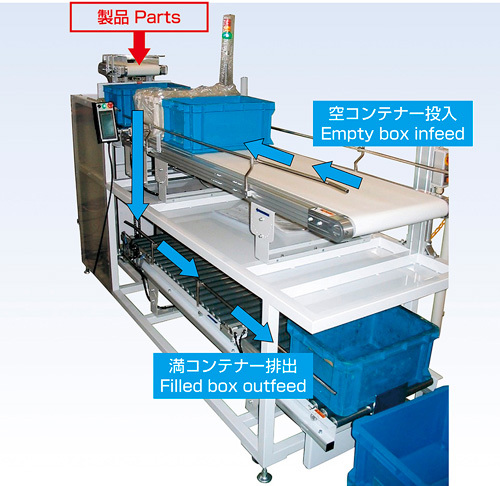 As feeding and outfeeding are switchable, the system can fit into your worksite layout smoothly.